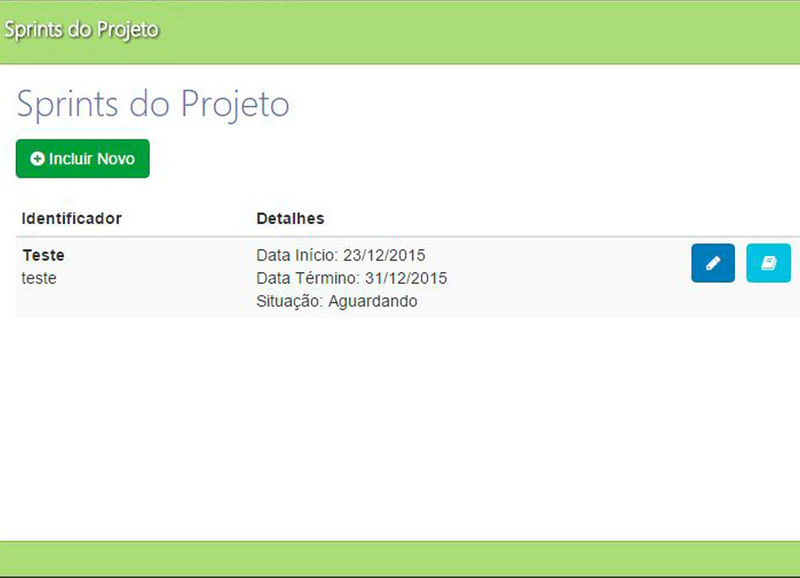 Manage your projects in an agile way, no complications! or register for FREE now! 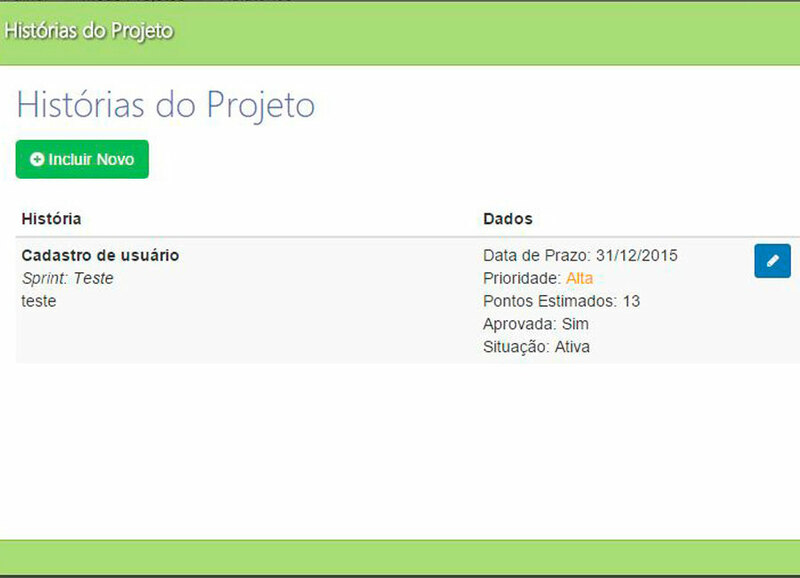 This is a project designed to solve the deficiency of an agile project management tool that is at the same time, easy to use, fast, and complete with useful features and a friendly interface. 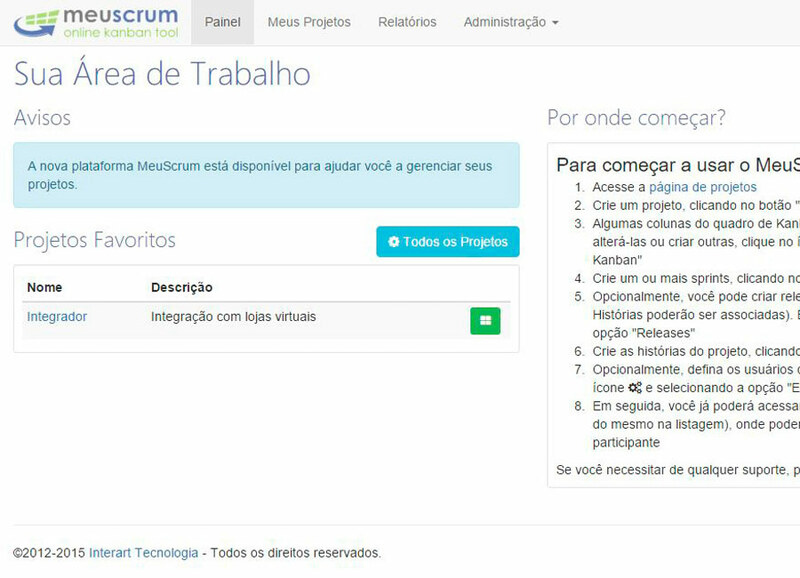 The development was guided directly by the day-by-day of a scrum team in a big project, allowing the features were developed in order to meet the team's needs, right to the point, no frills. Daily we receive messages from several people asking if MeuScrum ir really free or if they have to pay any amount to continue using it after a while or for extra modules. Yes! MeuScrum is totally free and no amount will be charged from you, but feel free to make your donation and value our work. We already maintain this project active through 5 years and have no claim to charge for your use (or on a behalf). If this happens, we will warn you well in advance, but we have already made it clear that we do not have this intention. The software market has changed a lot with the popularization of free and open source software. Interart has also benefited from this feature several times and believes it can give back a little of what it has received to the community through an easy-to-use, useful and free system. 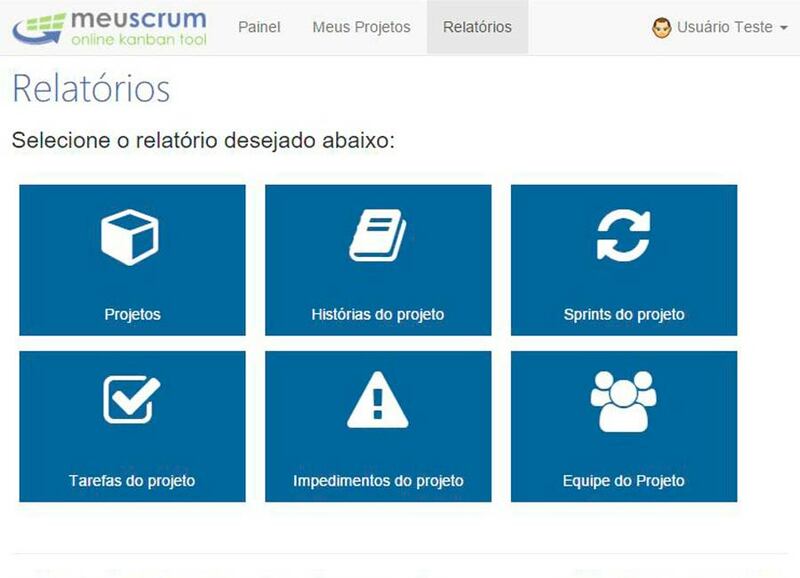 MeuScrum is a free Agile project management platform. ©2012-2019 Interart Tecnologia - All rights reserved. 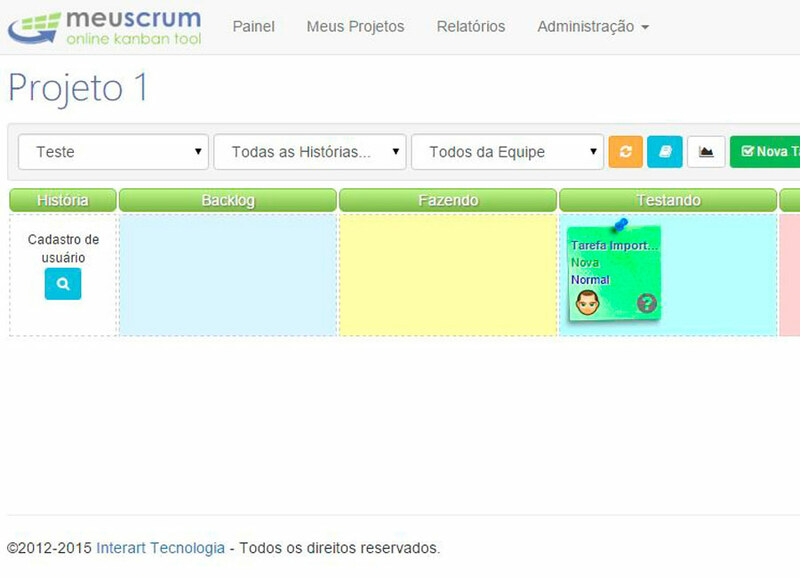 Manage all your projects, scrum team, stories, sprints, tasks, and the Kanban board easily and quickly. Manage stories and project backlog for control by all interested, including product owner and stakeholders. Register sprints and associate stories during the development cycle. 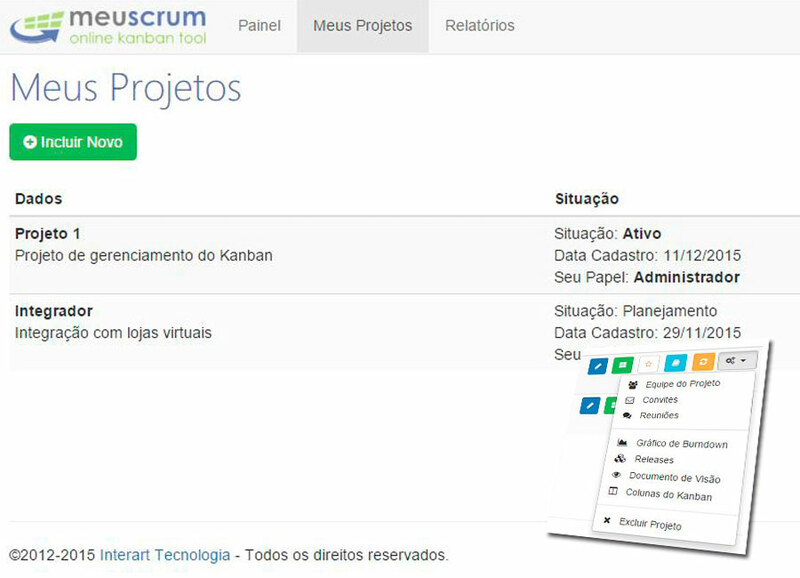 The powerful Kanban board, with drag-and-drop tasks, allows monitoring project progress visually. Management reports help the work of the Scrum Master and Product Owner. Desktop with shortcuts to favorite projects, pending invitations, mini "how-to" and notices on the platform.